You are currently browsing the Columbia Hearing Center blog archives for March, 2017. You may know how important it is to have iron in your diet for overall health, but a recent study showed a connection between a lack of iron and hearing health. The study followed 305,339 adults between the ages of 21 and 90 and found those with iron deficiency anemia (IDA) are twice as likely to have hearing loss than those without the blood disorder. The study, conducted by Kathleen Schieffer and colleagues at the Pennsylvania State University College of Medicine, was published in the December 29, 2016 online issue of JAMA Otolaryngology-Head and Neck Surgery. “An association exists between IDA and hearing loss,” the authors of the study write. “The next steps are to better understand this correlation and whether promptly diagnosing and treating IDA may positively affect the overall health status of adults with hearing loss.” Just as diet and exercise impact weight, heart function and hearing health, insufficient iron levels can also impact your health. Low levels may result in anemia, a condition in which red blood cells lack the hemoglobin necessary to carry sufficient amounts of oxygen throughout the body. Although IDA is very treatable, don’t stock up on iron supplements just yet to improve your hearing. The study authors emphasize further research is needed to understand the link iron plays in protecting our sense of hearing before supplementation can be used as a treatment plan for hearing loss. People tend to take matters of the heart very seriously­­­­­, yet brush off hearing loss as inconsequential. But the truth is your heart and ears have a lot in common. In fact, decades of research point to a link between cardiovascular and hearing health. If you feel you or someone you know may be struggling with hearing loss, then call and mention this article to receive a free hearing evaluation. Cotton swabs may seem harmless enough, but they can be dangerous when used to clean your ears. Although some people swear by using cotton swabs (Q-Tips) to remove excess wax and debris from their ear canals, medical experts will warn you not to try it. They have seen many catastrophes resulting from using cotton swabs. From punctured eardrums to super impacted wax, there are many negative consequences associated with “do-it-yourself” ear cleaning. It’s important to realize nothing should be placed inside the ear to remove dirt and debris. This is dangerous and could cause hearing loss or a damaged ear canal or eardrum. Do we really have to clean our ears? The answer is: yes and no. The outer ear or pinna benefits from a good cleaning every now and then. This can be accomplished with a little soap, water and a washcloth while you shower. In most cases, the ear canal does not need to be cleaned. During hair washing or showers, enough water enters the ear canal to loosen the wax that has accumulated. Additionally, the skin in your ear canal naturally grows in an outward, spiral pattern. As it sloughs off, ear wax goes with it. Most of the time, the wax will loosen and fall out on its own while you are asleep. The need for a cotton swab isn’t necessary. For those who have heavy wax build-up, a trip to the doctor may be needed. If you think wax could be affecting your hearing, contact our office. We can show you a live image of your ear canals, assess the situation, and determine the best course of action. In honor of World Hearing Day, Mimi Hearing Technologies, a Germany-based company that develops hearing enhancement technology for smartphones, analyzed data from their hearing test app and noise pollution data from the World Health Organization (WHO) in order to create the Worldwide Hearing Index. The data, collected from over 200,000 hearing tests worldwide, ranked average levels of hearing loss for people living in 50 global cities. Participant’s hearing age was calculated based on the difference between their performance on the hearing test and their actual age. 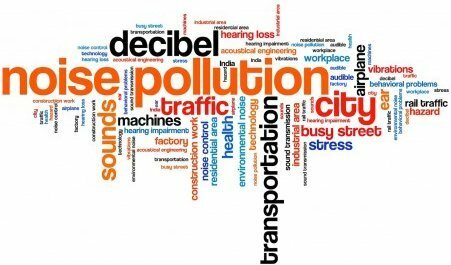 Mimi Hearing Technologies found that the average city dweller has a hearing loss equivalent to 10-20 years older than their actual age. 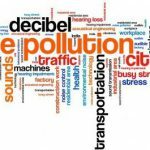 With the urban population projected to grow by 1.85% per year between 2015 and 2020, an increasingly large population will be exposed to the detrimental effects that noise pollution has on hearing ability. An approach to regenerate inner ear sensory hair cells reportedly lays the groundwork for treating chronic noise-induced hearing loss by the company, Frequency Therapeutics, which is drawing on research from Brigham and Women’s Hospital (BWH), Harvard Medical School, Mass Eye and Ear Infirmary, and Massachusetts Institute of Technology (MIT). In the February 21, 2017 edition of Cell Reports, the scientists describe a technique to grow large quantities of inner ear progenitor cells that convert into hair cells. The same techniques are said to show the ability to regenerate hair cells in the cochlea. The new research built on previous work to control the growth of intestinal stem cells expressing the protein Lgr5 and targeted a different population of Lgr5 cells that were discovered to be the source of sensory hair cells in the cochlea during development. The team successfully identified a protocol of small molecules to efficiently grow the cochlear progenitor cells into large colonies with a high capacity for differentiation into hair cells. We’re harnessing the body’s innate ability to heal itself,” said David Lucchino, co-founder, president and CEO of Frequency Therapeutics. “Frequency’s development of a disease modifying therapeutic that can be administered with a simple injection could have a profound effect on chronic noise-induced hearing loss, and we are rapidly advancing this program into human clinical trials within the next 18 months,” added Chris Loose, PhD, co-founder and CSO of the company.